Creating your own ERC20 Tokens is super easy and fast! 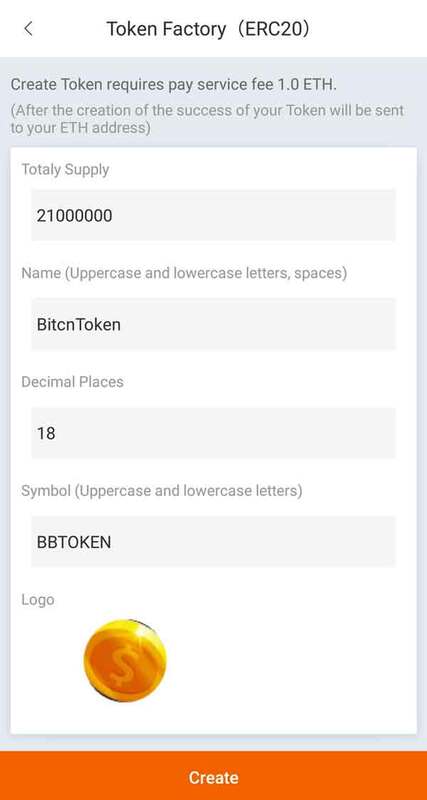 1.Bitpie APP version over 3.1.1 . 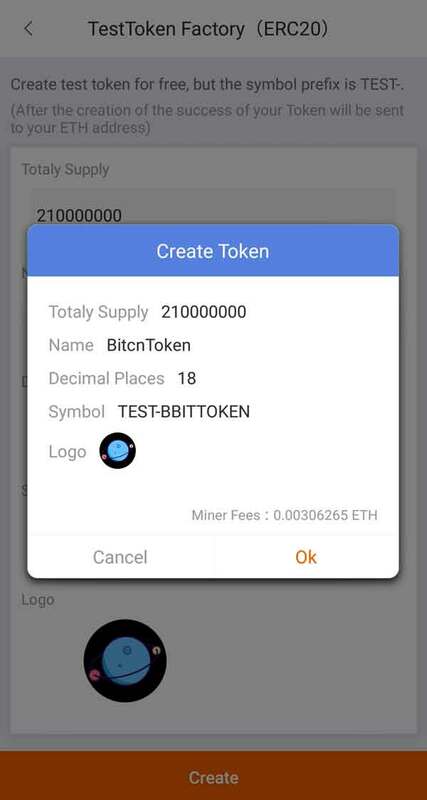 2.Create Token requires pay service fee 1.0 ETH. 3.Wallet-ALL-select Token Factory- select FORMAL. 4.Input ‘Totaly Supply’,’Name’,’Decimal Places’,’symbol’,’upload logo’,select Create. 5.After the creation of the success of your Token will be sent to your ETH address. 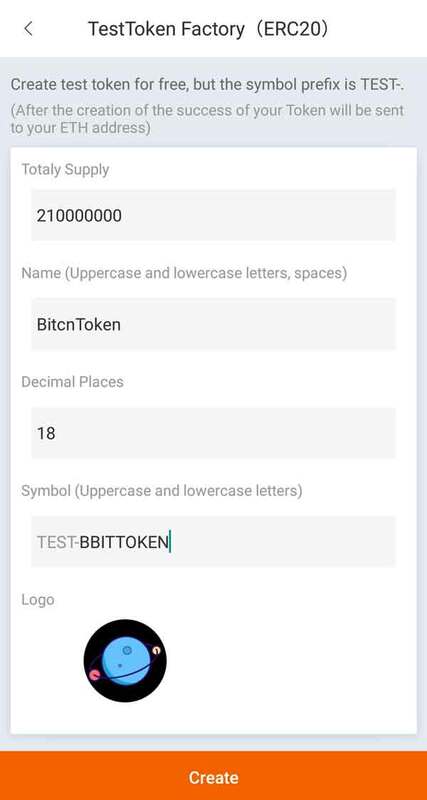 Creating a test Token is free for service charge, but the token will be added the prefix “TEST-“. Testing needs a small quantity of miner fees. The purpose of creating a Testing Token is to let the users know Token Factory. 2.Wallet-ALL-select Token Factory- select TEST. 3.Input ‘Totaly Supply’,’Name’,’Decimal Places’,’symbol’,’upload logo’,select Create. 4.After the creation of the success of your Token will be sent to your ETH address.